After the Japanese surrendered Wake Island at the end of World War II, the United States Navy resumed authority over the atoll. 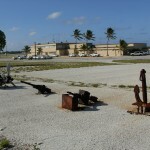 Within a couple of years the navy turned administration over the Department of Commerce, and the CAA (FAA after 1958) maintained airfield operations from 1947 to 1972, paving and extending the runway. Commercial airlines including Pan American Airways and Transocean Airlines established facilities on Wake and military and other aircraft regularly stopped in for fuel. 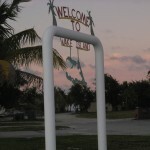 Numerous government agencies and commercial enterprises obtained use permits over the years, and Wake Island bustled with activity during the 1950s-70s when families called it home and children played on the beaches. Formal authority was transferred from the U.S. Navy to the Department of the Interior in 1962. The FAA ceased operations in 1972 and the U.S. Air Force took over as user and steward of the site. The U.S. Army Strategic Missile Defense Command administered Wake from 1994 to 2001 and has recurring missions, but the air force resumed command in 2001. Currently in 2012 a detachment of the 611th Air Support Group (Joint Base Elmendorf-Richardson) oversees operations on the atoll. 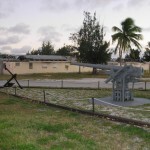 Wake Island received National Historic Landmark status in 1985 and artifacts and ruins dating to the prewar and World War II periods are protected. 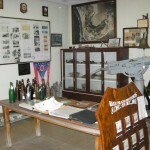 Hundreds of artifacts and postwar memorabilia are displayed in the Wake Island Museum. 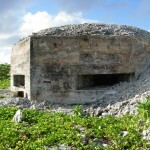 Bunkers and pillboxes, stone fortifications, revetments, and other war ruins dot the landscape. Memorials erected and dedicated by American, Japanese, and Guamanian survivors of World War II ensure that the men who lost their lives there are never forgotten. 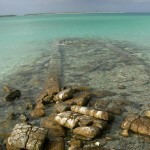 The low-lying atoll has been battered countless times by typhoons and storm surges. Record keeping commenced in 1935 with the first permanent residents, Pan American Airways employees. Since then at least four major typhoons have swept over Wake. The most recent, Typhoon Ioke, devastated Wake in 2006 and some facilities have not been rebuilt. The storms and the relentless surf take their toll on historical features and ruins from the World War II era, and occasionally reveal ordnance and human bones. The Joint POW-MIA Accounting Command (JPAC) sent out a team of forensic anthropologists in the summer of 2011 to collect a set of skeletal remains found on the eroding north beach. JPAC has reason to believe that these bones relate to the American war dead and the agency is actively seeking family members for DNA sampling. The photographs in these posts were taken by me during my trip to Wake in November 2011. They show the landscape, but they cannot convey the push of the wind, the constant roar of the surf, the night sky full of stars, or the power of the place that changed many lives forever.